Subscribe to get great recipes in your mailbox! 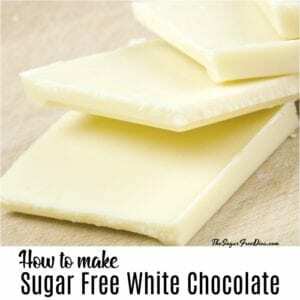 This is an easy recipe for How to make Sugar Free White Chocolate . I like a recipe that takes about 10 minutes to make too! Finding white chocolate that is sugar free is hard to do. So, I had to start making my own as a result. The truth is that white chocolate really is not chocolate. I was pretty shocked myself when I first learned this truth. While regular chocolate is derived from a plant (cacao tree ) and some cocoa beans, white chocolate is not. It would be hard to pinpoint however, how white chocolate actually got its name. But, it is what it is and that would be white chocolate. There are some things that you will need to make this recipe with. First off, you will need edible cocoa butter which you can find here. You will also need some coconut oil as well as some molds (if you are wanting your white chocolate in shapes). 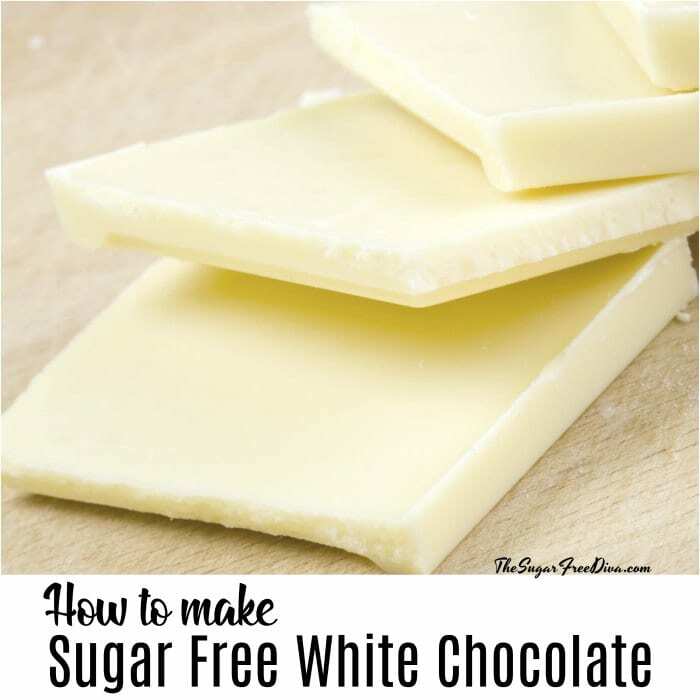 Lastly, you will need sugar free powdered sugar to make this white chocolate recipe. You can make your own sugar free powdered sugar using this recipe or you can buy sugar free powdered sugar already made online. This is the vegan version of a white chocolate recipe. It is also sugar free and keto-diet friendly. However, if you are wanting to use this white chocolate as part of another recipe, such as white chocolate chip cookies, I would lower the baking temperature and possible use these chips cold or frozen to avoid melting. Here are some similar recipes that you may also like. The Best Chocolate Chip Cookies. Sugar Free Chocolate Chip Muffins. And, Sugar Free Banana Bread. I have some great tips on which alternatives may work in a recipe such as this one. Be sure to follow me on facebook and subscribe to my recipes via email to keep up to date as well. As mentioned, you will need edible cocoa butter which you can find here. You will also need some coconut oil as well as some molds (if you are wanting your white chocolate in shapes). 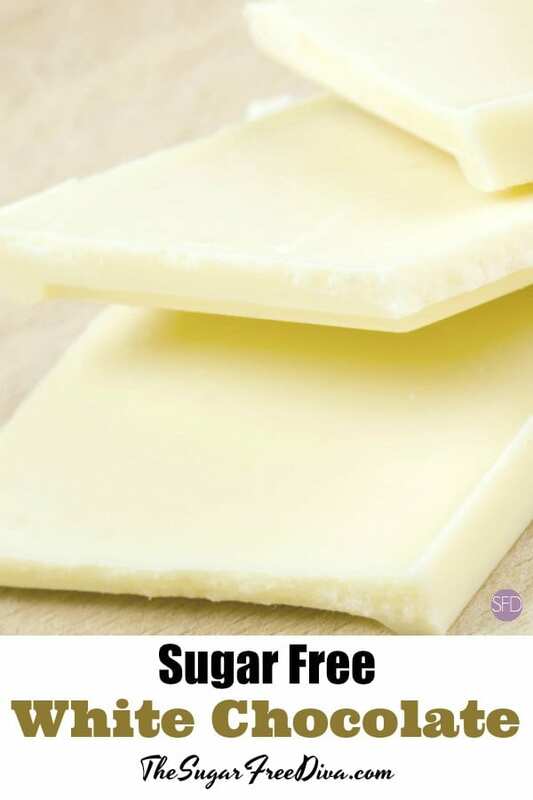 I have also mentioned that you will need sugar free powdered sugar to make this white chocolate recipe. Edible Cocoa Butter which you can find here.– 2 Cups. Sugar Free Powdered Sugar- 1 cup. 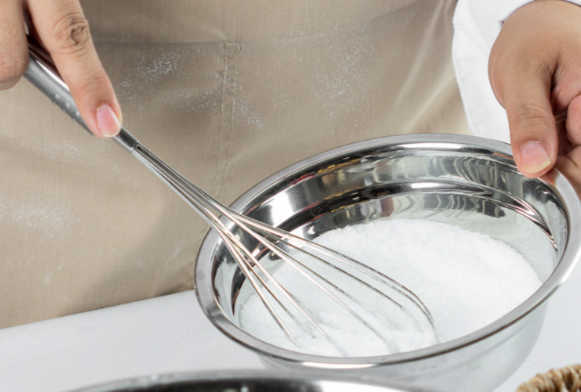 You can make your own sugar free powdered sugar using this recipe or you can buy sugar free powdered sugar already made online. Optional- Powdered Milk– 1 teaspoon to up to 1 1/2 tablespoons for thickening if needed. You can find powdered milk alternatives here. This recipe works best when a double boiler is used in order for the melting to be consistent and even. Most folks these days do not seem to have a double boiler in their home but, there is an easy hack for that. Simply use a large pot filled half way with water on the stove and bring the water to a boil. Then use a saucepan or a metal bowl inside of the boiling water to make your double boiler. Inside of the bowl or saucepan of your double boiler, place your edible cocoa butter and allow it to melt, whisking this continually. Once melted, add the coconut oil and continue to whisk until all is blended and melted together. Remove the mixture from the heat and stir in the powdered sugar and vanilla. If this seems too thin, like water, whisk in a bit of powdered milk, a small amount at a time, until you reach a good consistency (like a frosting consistency). Pour the mix into your molds, cover with plastic wrap, and freeze until solid. About 1 1/2 hours. Store this in the refrigerator. 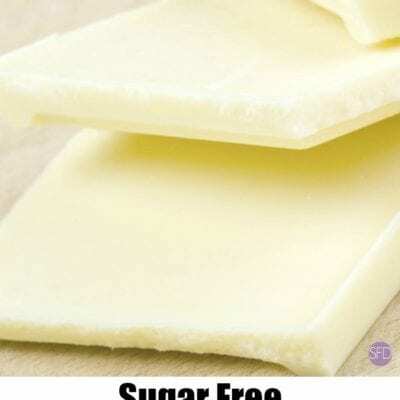 White chocolate is so delicious especially without all of the added sugar.This is an easy way to make your own Sugar Free White Chocolate. Prepare a double boiler with boiling water. Add the cocoa butter to the top and melt, whisking continually. When melted, whisk in the coconut oil. 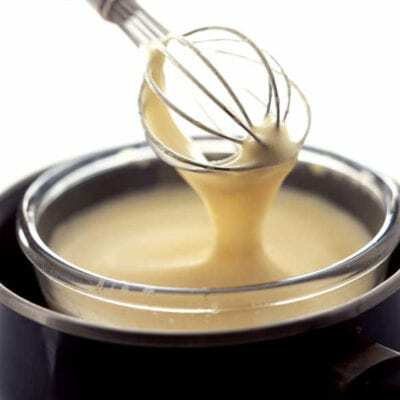 When blended, remove from heat and whisk in the remaining ingredients. Please see recipe post for full details on this recipe. Optional- Powdered Milk- 1 teaspoon to up to 1 1/2 tablespoons for thickening if needed. You can find powdered milk alternatives here. You can see this and the other items that have been featured on my Sugar Free Sunday Spotlight here. This recipe calls for the use of molds. You can find a good variety of molds online that can be used in this recipe. 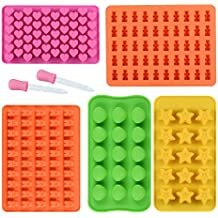 I like that there are great choices for molds with themes such as for holiday baking or birthday parties. Also suggested is preparing your molds before you make the chocolate. This will make the chocolate easier to remove when you are ready to pop the chocolate out to enjoy. Simply prepping the molds with a bit of baking spray should work fine for this recipe. 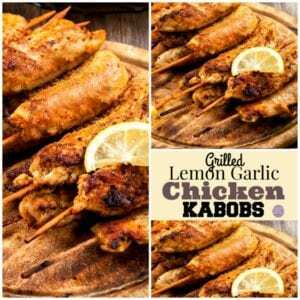 If you decide to make this recipe, please stop back and let me know how it turned out for you. Also, if you have any tips or tweaks to the recipe to share, please do so in the comment section below. My readers like to stop by periodically for updates on the recipes. Reading the comments below is helpful to these readers and hopefully to you too!! Looking for a recipe that is not on my site? Please let me know and I will will on getting that recipe for you. Happy baking, eating, and enjoying life! I get a lot of visitors who ask me about baking without sugar. Baking cakes, cupcakes, and cookies has gotten a lot easier over the years. This is mostly thanks to the many new products and options that are now on the market. For me, the alternative that I choose to use in a recipe has a lot to do with what that recipe actually is. Every alternative behaves differently when added to a recipe. This has a lot to do with how we use that alternative in our recipe. There is a misconception that sugar alternatives can be used in a recipe just as you you use sugar. Everyone knows that a sugar alternative can make something taste sweet to us without have the many effects that sugar does on the body. However, there is more to sugar alternatives then just taste. Sugar alternatives are not chemically the same as sugar. That chemical difference can be a big deal when it comes to recipes. There is a lot to learn if you are serious in baking with sugar alternatives. I have more in depth explanations about sugar alternatives in my book, The Sugar Free Baking Guide. Subscribe to the Sugar Free Diva Newsletter! This email newsletter is sent to your mailbox three days a week. You are able to monitor your subscription by clicking on "preferences" at any time. Refer to my privacy page to see how your privacy is protected. A self-proclaimed Reformed Sugar Addict, The Sugar Free Diva is a restaurant owner by day and author by night.She has been featured in numerous media outlets as well as serving on speaking panels. Most importantly, she is an avid pet owner who loves life. Hello! I tried making this twice and it is still very thin. I even added the maximum amount of powdered milk and still get a very runny consistency. Any tips as to what I am doing wrong? Thank you very much. Hi. Try adding Powdered Milk– 1 teaspoon to up to 1 1/2 tablespoons for thickening if needed. 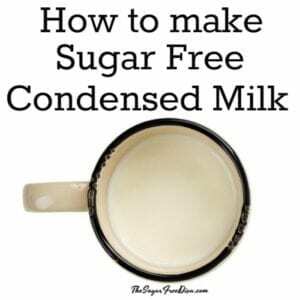 You can find powdered milk alternatives here. A Reformed Sugar Addict turned author and restaurant owner. The Sugar Free Diva is also a happy dog owner, chocolate lover, and discreet handbag hoarder. Use of this site means that you agree with the terms and other disclosures of this site. Also, use of the information, recipes, and images without written consent from the owner of this site is prohibited. 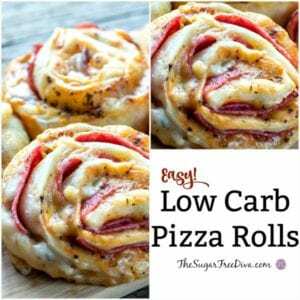 Please, use credit to this site with a link to this site/ specific page or recipe when you mention the information, images. and recipes.